I rarely look far enough ahead in the Rose’s Alpha Bakers schedule to know what’s coming up the next week, but this week was different, because some of the group baked pumpkin pecan pie last week, and some of them baked these spritz butter cookies. When I saw that this was next, I knew Jay would be happy. Spritz cookies are one of his favourites. He was surprised that they’d be included in a cookbook like this one, because as he claims, he’s been making spritz cookies since he was 6 or 7. 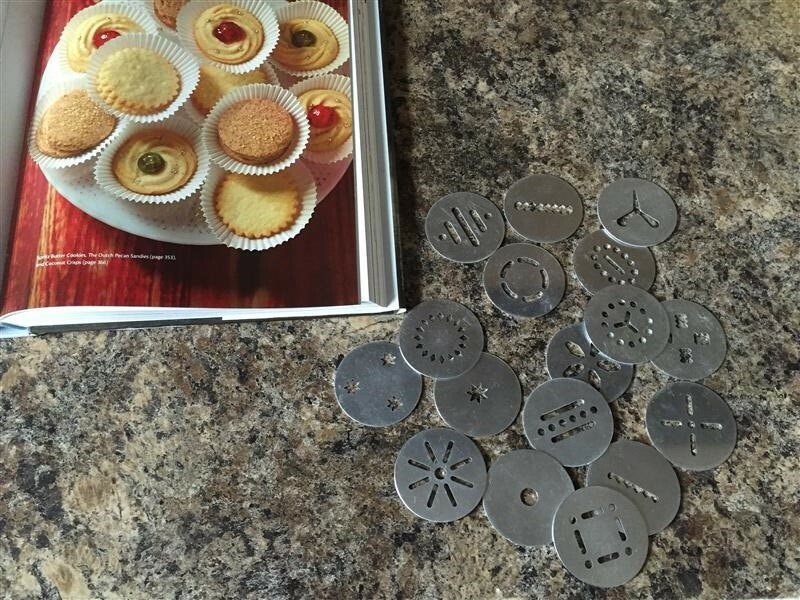 Quite possibly with this same cookie press set. Gotta try out all the shapes!